We’ve all been there…we’ve all experienced it….we’ve all lived it! What in the world am I talking about?? I’m talking about occasional constipation! Sure, it’s not something that’s normally discussed openly at the dinner table, but it’s a very real topic that most individuals deal with! 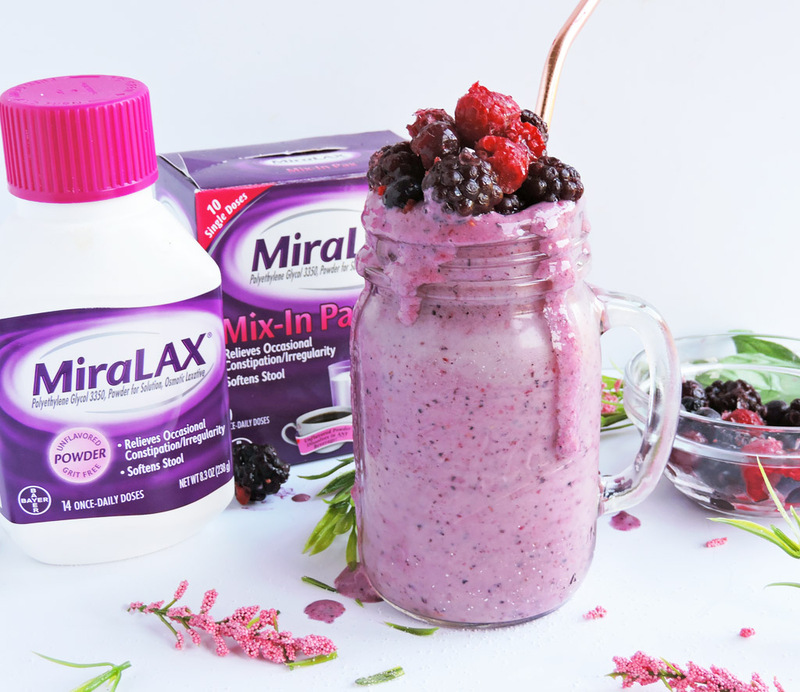 Besides following a nutritious diet filled with fresh fruits and veggies, I like to recommend MiraLAX® when you need the extra help. 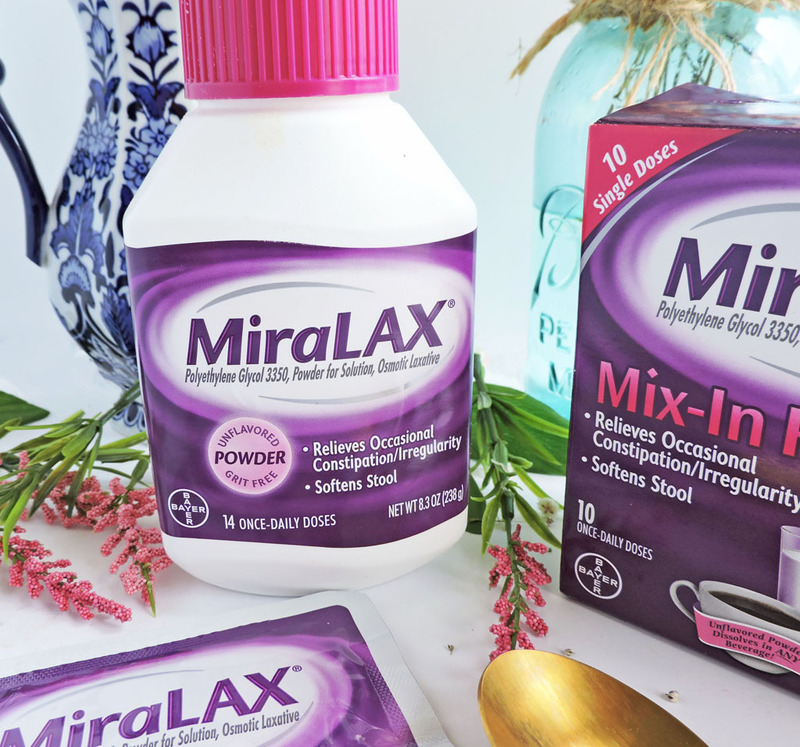 MiraLAX® works with the body’s natural process to provide effective relief from occasional constipation. Because it works with the water in your body, MiraLAX® provides a gentle experience, and doesn’t cause harsh side effects. 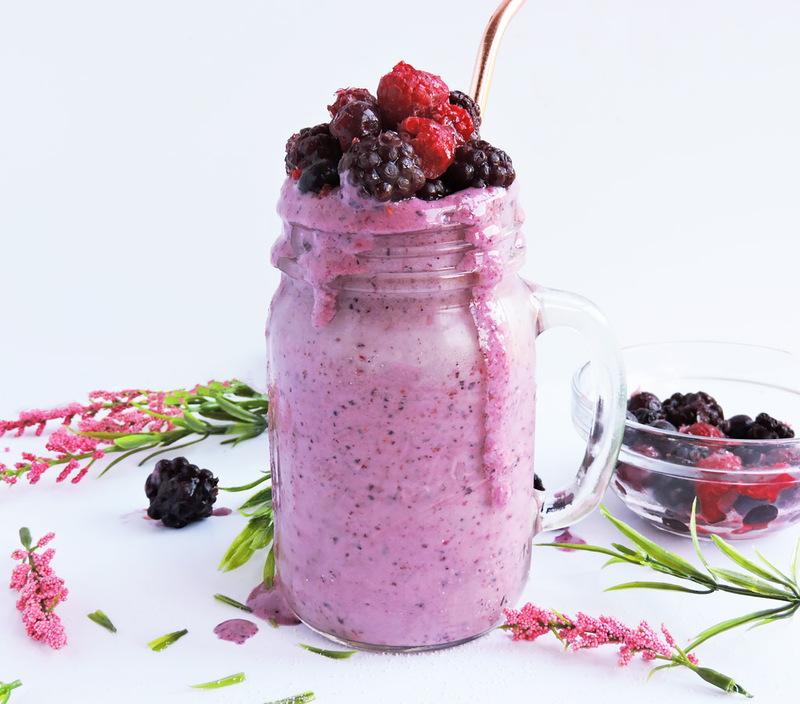 Just toss all of the ingredients into your blender and blend until smooth. 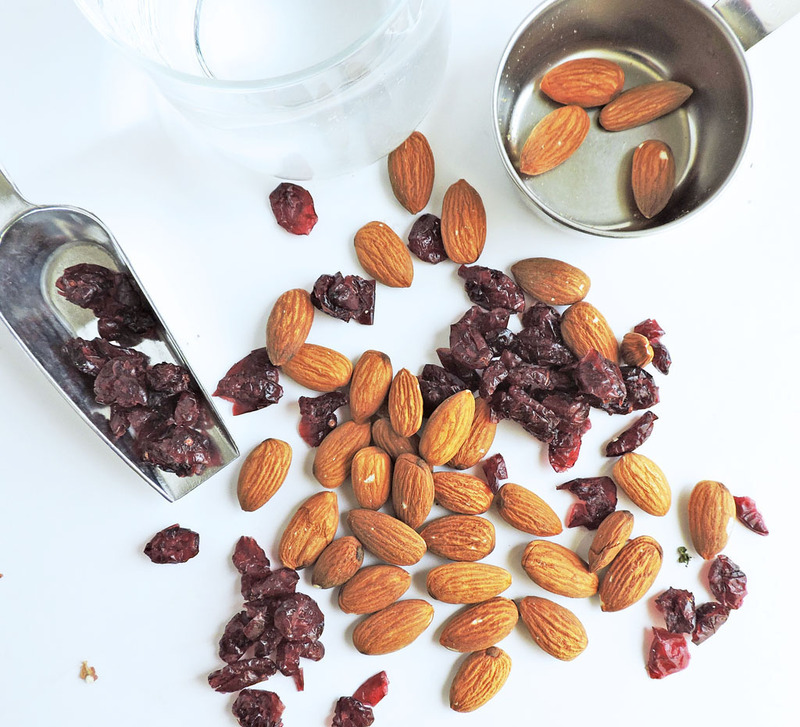 After the ingredients are nice and smooth, pour into your favorite glass and top with desired garnish! See, super easy right?! Tip: When needed, I add in MiraLAX® to help with occasional constipation. This is such a great way to provide an effective relief from occasional constipation! I like that MiraLAX® is different from stimulant laxatives, stimulant laxatives forcefully stimulate the nerves in your colon. MiraLAX® works with the water in your body to hydrate and soften, unblocking your system naturally! 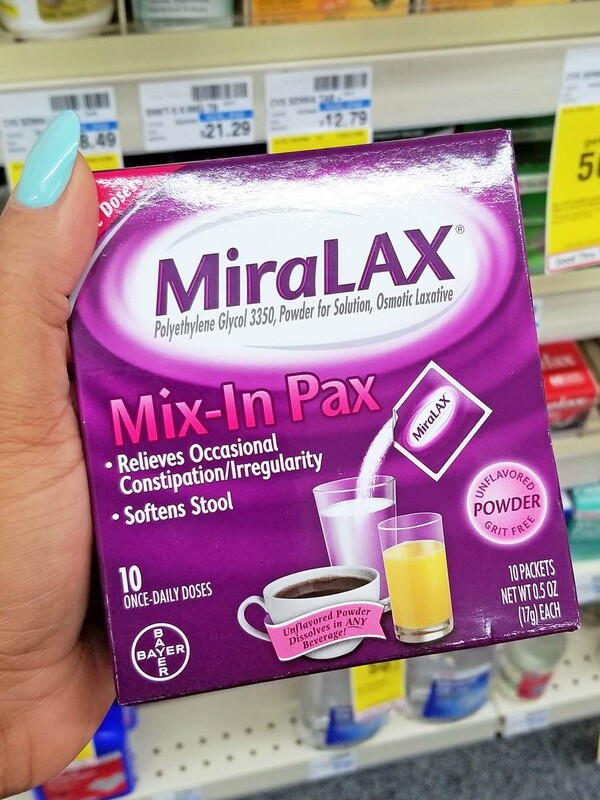 And I am totally feeling these MiraLAX® Mix-In Pax®! I spotted these at CVS and just had to get it! 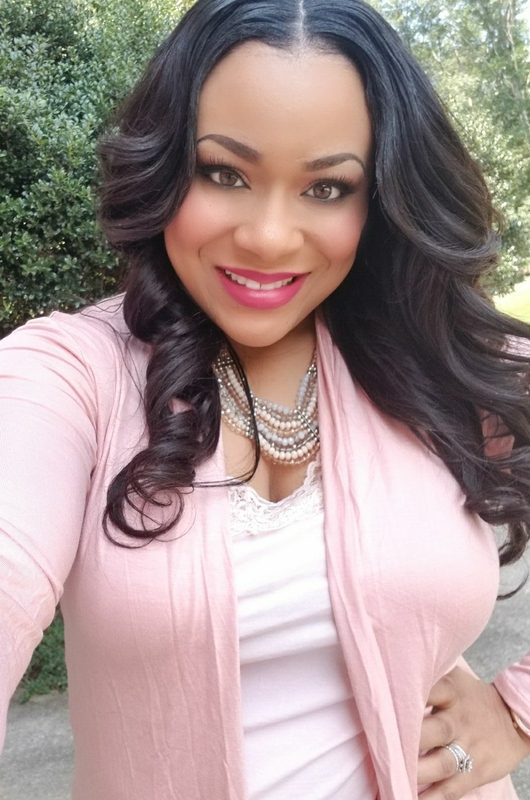 They are super convenient and perfect for on the go! • Drink water- water is essential to the body to perform its daily functions and provide us with proper hydration. Water also helps to keep things moving throughout our systems! 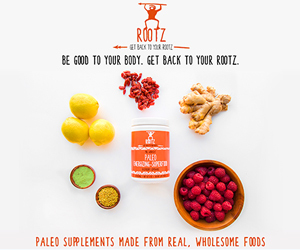 • Increase fruits and veggies – Fruits and vegetables contain many vitamins and minerals that our bodies need daily. 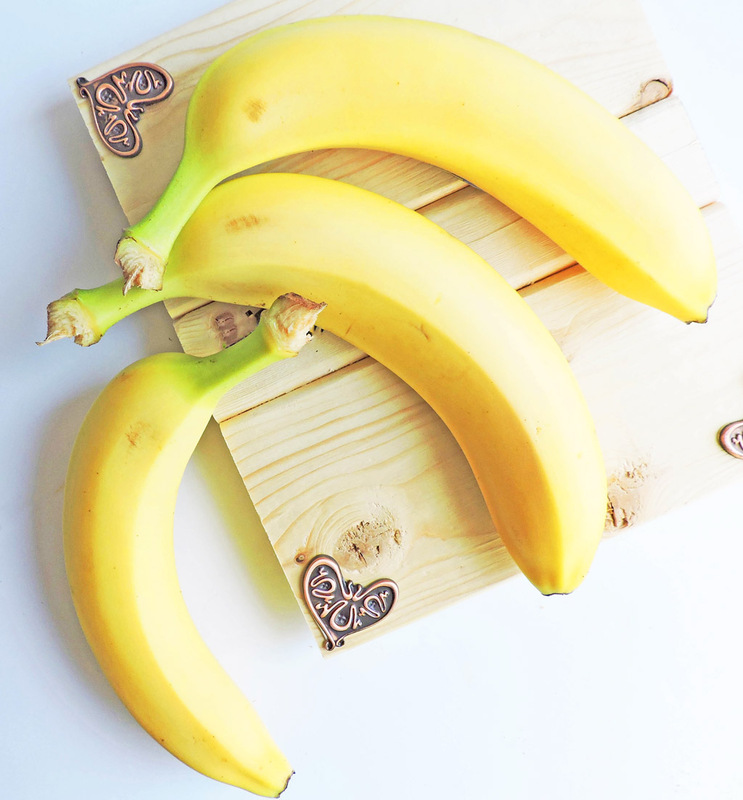 Some fruits and veggies contain a great source of fiber that is helpful to naturally relieve occasional constipation. • Exercise- You’ll be surprised to know that exercise does more than just toning your body! It also helps to regulate bowel movements. So there you have it! My easy recipe for relief! 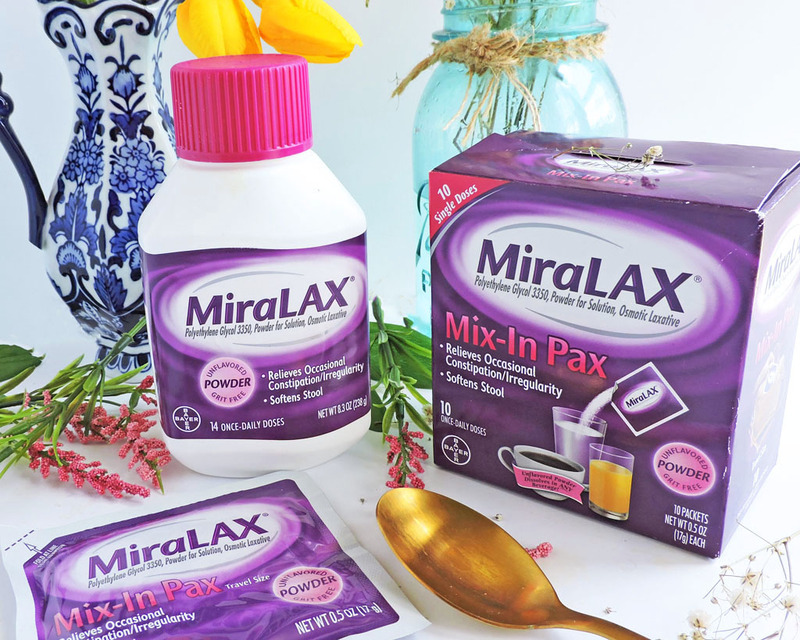 Click HERE to download your coupon and save on any MiraLAX® product!